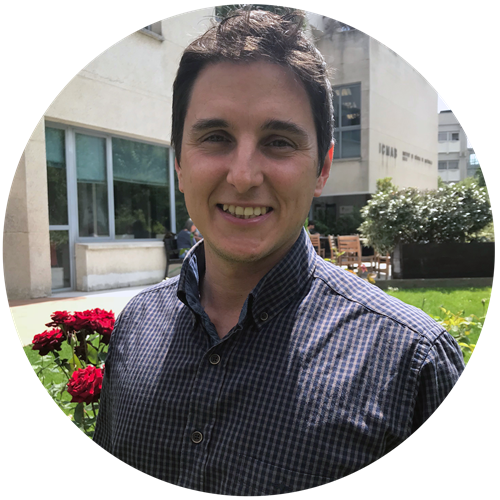 Ignasi Fina is a Juan de la Cierva postdoctoral fellow at the Laboratory of Multifunctional Thin Films and Complex Structures (MULFOX) at ICMAB since 2016. He is also Associate Professor at the UB (Universitat de Barcelona). Recently he has been awarded with one MIT-Spain ”la Caixa” Foundation Seed Fund grants for a project on new materials for photovoltaics. His activity is focused on new materials for electronic applications, with two main research lines: the study of magnetoelectric coupling in antiferromagnetic materials, and the study of ferroelectric materials for photovoltaic and neuromorphic computing applications. He studied Physics at the UB (2006), and finished his PhD in 2012 at ICMAB, under the supervision of Pep Fontcuberta and Lourdes Fàbregas. Since then he has been postdoctoral fellow at the University of Warwick, at the Max Planck Institute of Microstructure Physics and at ICN2 - Institut Català de Nanociència i Nanotecnologia, before coming back to ICMAB. Arántzazu González-Campo is a senior postdoctoral fellow at the Functional Nanomaterials and Surfaces (FunNanoSurf) group at ICMAB. She studied Chemistry at the Autonomous University of Barcelona (UAB) (2001). 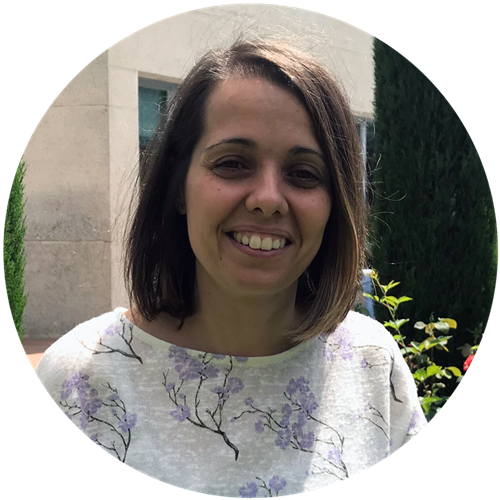 She received her PhD in 2006 at ICMAB, under the supervision of Rosario Núñez, working on the synthesis of dendrimers functionalised with boron based clusters and hybrid materials. She made a one year postdoctoral stay at Imperial College London, where she investigated the preparation of new thermoconducting nanocomposites comprised of zinc oxide nanoparticles and carbon nanotubes and a two year stay at the University of Twente and MESA+ Institute of Nanotechnology in The Netherlands, where she worked on functionalisation of surfaces for the preparation of protein microarrays. Since 2010, she is back at the ICMAB, first with Teixidor’s group, then with David Amabilino’s group, and now with Núria Aliaga. Her present research is centered on the derivatisation of surfaces to give them new properties and functions. Judith Guasch holds a senior postdoctoral research position at the NANOMOL group at ICMAB, after being awarded with a TecnioSpring fellowship (Marie Curie Fellow, Cofund – Catalan Government and EU). Since 2017 she is also head of a Max Planck Partner Group (Dynamic Biomimetics for Cancer Immunotherapy) in collaboration with the Max Planck Institute for Medical Research (Heidelberg, Germany). Judith's research interests are focused on the design, synthesis, and fabrication of multifunctional molecular and supramolecular materials for biomedical applications. Special interest is devoted to study the cell-material interaction for improving novel adoptive cell therapies for the treatment of cancer. She studied Chemistry at the UB (2006) and she received her PhD in 2011 from ICMAB. Afterwards, she carried out postdoctoral research at the Max Planck Institute for Intelligent Systems (Stuttgart, Germany). We are very happy for them, and we hope, and and hope that they can continue their research with us at ICMAB with their Ramón y Cajal grant. The Spanish Ministry of Economy, Industry and Competitiveness is the funding agency of this programme, which has the aim of providing financial support for a period of five years for the recruitment of researchers. The aid is intended to co-finance the salary and the employer's contribution to Social Security of the researchers hired during each of the annuities.